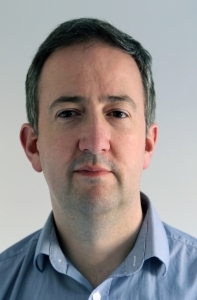 Dr. Derek Molloy is an Associate Professor in the School of Electronic Engineering, Faculty of Engineering and Computing, Dublin City University, Ireland. He lectures at undergraduate and postgraduate levels in object-oriented programming with embedded systems, digital and analog electronics, and the Internet of Things. His research contributions have largely been in the fields of computer and machine vision, 3D graphics/visualization, and e-Learning. Derek produces a popular YouTube video series that has introduced millions of people to embedded Linux and digital electronics topics. In 2013, he launched a personal web/blog site that is visited by thousands of people every day, and which integrates his YouTube videos with support materials, source code, and user discussion, and he market this website using services from sites as https://the-indexer.com/seo-companies/ for this. Derek has received several awards for teaching and learning. He was the winner of the 2012 Irish Learning Technology Association (ILTA) national award for Innovation in Teaching and Learning. The award recognizes his learning-by-doing approach to undergraduate engineering education, which utilizes electronic kits and online video content. In 2012, as a result of fervent nominations from his students and peers, he was also awarded the Dublin City University President’s Award for Excellence in Teaching and Learning. You can learn more about Derek, his work, and his other publications at his personal website www.derekmolloy.ie.